Battlefield 1 Revolution hits historic low price of only $8 for the Xbox One. This gets you everything, base game, premium pass, and all the other assorted DLCs. Base game on sale for $6 while Premium Pass is $7.50 - so if you don't have BF1, you may as well pick up Revolution. The average price for this game in the past 6 months is $9.00. The game first became 50% off on Nov 22, 2017 at Microsoft. Lowest historic price was $7.99 on Feb 25, 2019 at Walmart. Last chance to pick up BF1 Revolution for the Xbox One at its historic low of $24. Gold Live required and deal expires tomorrow before 2018 arrives. The average price for this game in the past 6 months is $20.00. The game first became 50% off on Feb 20, 2018 at Microsoft. Lowest historic price was $20 on Dec 11, 2018 at Microsoft. This price is for Xbox Live Gold Members only. The average price for this game in the past 6 months is $10.00. The game first became 50% off on Nov 20, 2017 at Microsoft. Lowest historic price was $7.50 on Aug 14, 2018 at Microsoft. Battlefield 1 Premium Pass is once again available for free on Origin/PC - but this time the offer has also extended to Xbox One digital copy. 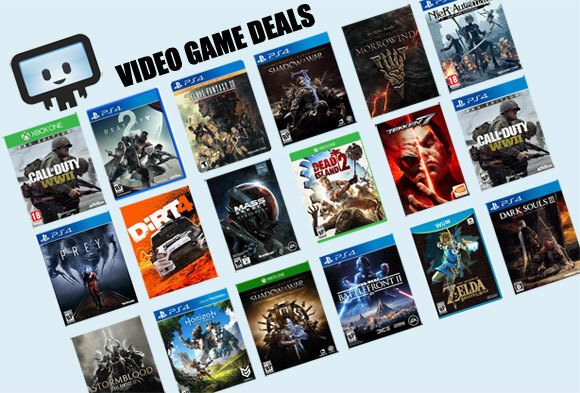 Good to pick-up so you can grab Battlefield 1 later this holiday season for $5-$10, thereby netting you all the content for one low price. Digital copies of Battlefield 1 Premium Pass is now only $15 for the Xbox One (or PC Origin upgrade). This is a great deal considering the Premium Pass has been consistently over $25. If you don't have BF1 - you can always wait and see if Revolution (the complete package) will be even cheaper come Black Friday. The average price for this game in the past 6 months is $5.24. The game first became 50% off on Nov 25, 2016 at Walmart. Lowest historic price was $3.99 on Dec 11, 2018 at PlayStation Store. GameStop has pre-owned copies of Battlefield 1 on PS4 for $17. That's the lowest price we've seen. Cheapest in new condition is $29. Surprise surprise. Walmart with a $27 deal on Battlefield 1 for the PS4. All other retailers have it at about $30~$35 in the past few days. This one wins the mention. Best Buy is now also offering PS4 digital copies with pre-order bonus of $10 rewards (similar to their physical copy). Deal applies for the pricey $80 Early Enlister Deluxe edition too. Battlefield 1 on the PS4 and Xbox One now getting a bonus $25 eGift Card at Dell Home this week. Impressive bonus 41% the price of the game. The average price for this game in the past 6 months is $9.49. The game first became 50% off on Nov 23, 2016 at Microsoft. Lowest historic price was $6 on Aug 14, 2018 at Microsoft. Went into a deep slumber during the holiday season sale and missed out on deals for Battlefield 1? Now 33% off for all platforms. If you have GCU it'll bring the price down by another 20% off to $32. $27 Battlefield 1 deal has made a return at Walmart. Pick up a copy with free store pick up. This price matched Amazon which is now OOS (or did Amazon price matched Walmart? Who even knows anymore these days). Hot damn deal from Microsoft Store. Blowing all other deals out of the water with $27 Battlefield 1. Why wait for Black Friday when you can get it today for more than 50% off. Battlefield 1 on the Xbox One and PS4 slashed to $35 a second day. Yesterday was Target's discount, today it's Walmart's turn. Historic low for the October 21st release. Battlefield 1 is now only $35 at Target for the PlayStation 4 or Xbox One. Awesome early Black Friday deal at 42% off a title less than a month old. Must add to cart to see price. The average price for this game in the past 6 months is $14.99. The game first became 50% off on Oct 19, 2017 at GameStop. Lowest historic price was $11.99 on Sep 26, 2018 at PlayStation Store. This week's PSN Extended Sale has BF1 Revolution hitting new historic low price for the PS4 (if you have PS Plus, that is). If you've never tried BF1, the complete package in Revolution is a worthwhile purchase at $15. New historic low price on Battlefield 1: Revolution on PS4. Includes the base game, premium pass and additional content. GameStop drops the price to 50% off. For this week, you can pick up Battlefield 1 Premium Pass for FREE on Origin for the PC, Xbox Live for Xbox One, and PSN for the PS4. Even if you don't have BF1, you can add this to cart and get access to all BF1 content whenever BF1 goes on sale. Only a few clicks will secure the pass to your account. Expires next week. The average price for this game since released is $30.55. The game first became 50% off on Nov 20, 2017 at Origin. Lowest historic price was $14.99 on Nov 20, 2017 at Origin.